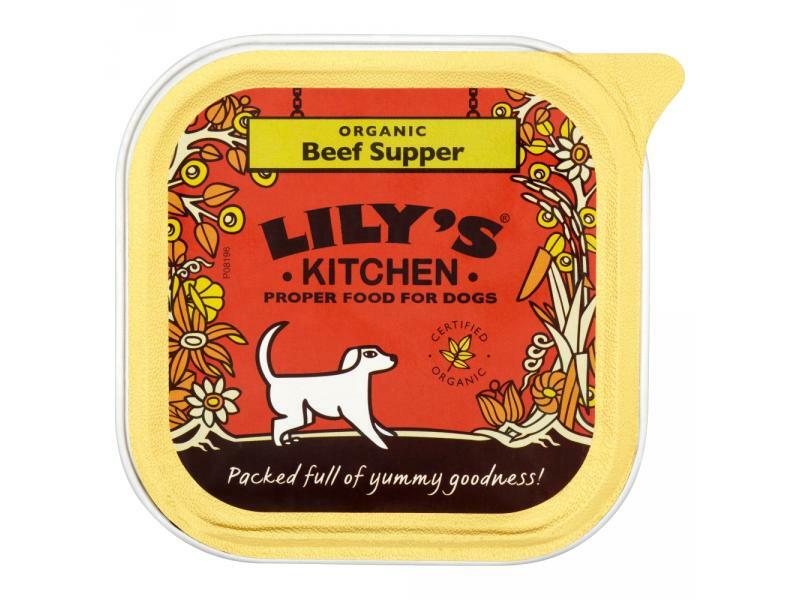 Lily's Kitchen Organic Beef and Spelt Supper is a traditional, nutrient-rich wet food, made from organic beef (45%) and organic pork (5%) as well as organic carrots and peas. Alfalfa has also been included to provide essential vitamins believed to benefit dogs suffering with arthritis, and cleavers to help soothe skin complaints. The recipe is without preservatives or colours and has a low G.I content. There are currently no questions for Lily's Kitchen Organic Beef & Spelt Supper Dog Food - be the first to ask one!